Participation in tutorials is free for all workshop's registrants. Attendants are invited to bring their own laptop. Alexander Kel studied biology and mathematics at Novosibirsk State University and obtained his MS in 1985. He worked for 15 years at the Institute of Cytology and Genetics, Russia (ICG) finally holding the position of Vice-Head of the Theoretical Molecular Genetics Lab. In 1990 he received his PhD in Bioinformatics, Molecular Biology and Genetics. In 1999 he organized a Bioinformatics group at ICG. From 2000 to 2010, he has been the Senior Vice President Research & Development of BIOBASE GmbH. During his career, he has worked in many branches of current bioinformatics. He is a prolific author of scientific publications, as well as of tutorials and education materials. In the tutorial, he will approach the analysis and modeling of biological systems from several practical angles. First, he will introduce into systems biology and modeling from a network-based perspective. He will introduce several pathway databases and describe how to use them for pathway analysis. Next, he will describe computational methods for analysis of pathway information and for reconstruction of signal transduction and gene regulatory pathways using gene expression data and knowledge from the pathway databases. This will be followed by methods of analysis of topological properties of biochemical and regulatory networks. This will lead to the application of such methods for revealing key nodes in networks as potential biomarkers or drug targets. He will then show examples of application of these methods for identification of disease related biomarkers and drug discovery. The attendees of the tutorial will get demo of the online system geneXplain with the aim to enable them to use it in their lab. Katy Wolstencroft is a Research Fellow in the School of Computer Science, University of Manchester and a visiting researcher in the Molecular Cell Physiology group at the Vrije Universiteit, Amsterdam. She has a PhD and MSc in Bioinformatics from the University of Manchester, and a BSc in Biochemistry from the University of Leeds. Her work is primarily in the area of data and knowledge integration, where she leads the bioinformatics research activities in the myGrid consortium. myGrid is a UK e-Science initiative that has produced, amongst other things, the Taverna workflows workbench, the myExperiment workflow repository, and the BioCatalogue service catalogue. 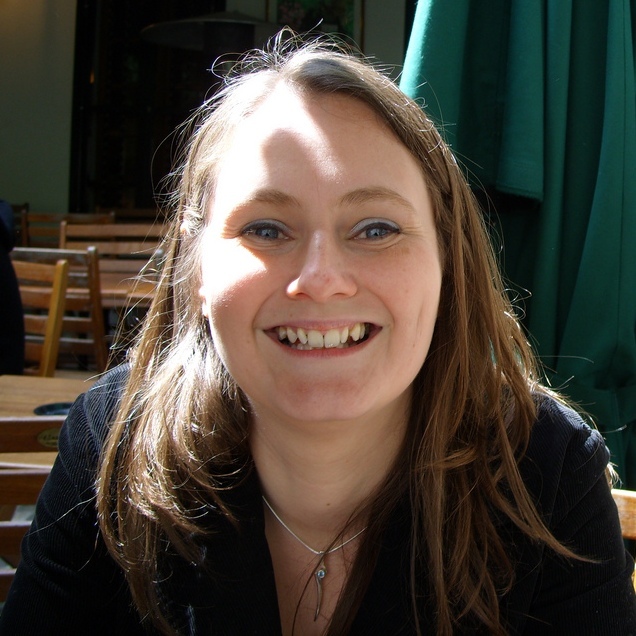 Currently, her main focus is on the BBSRC funded SysMO SEEK project, to develop a data exchange and modelling environment for Systems Biology consortia in Europe. It was designed for the SysMO consortium (Systems Biology of Micro-Organisms), but it has now been adopted by many other consortia, providing a common platform for hundreds of research labs in Europe. Katy also coordinates the training and outreach activities in myGrid. As such, she has been involved in teaching scientific workflows and related technologies in over 50 workshops, summer schools and conferences throughout the world. In this tutorial, she will provide an introduction to designing and reusing workflows for high-throughput bioinformatics data analysis, using Taverna and myExperiment. Scientific workflows enable the chaining together of distributed analysis resources and databases to construct complex analysis pipelines that are ideal for high throughput omics data analysis. These workflows are reusable experimental methods that can be shared and rerun for other data, or for experimental validation.